Once the Divorce Petition has been issued by the Family Court, the Respondent (i.e. your spouse/civil partner) will be sent a form called an Acknowledgement of Service. In most cases the Respondent will sign and date the Acknowledgement of Service and return it to the Court. 1. If the Respondent ignores the Acknowledgement of Service and you have no proof at all that he or she has received it then you can apply for it to be personally served (i.e. delivered) by a court bailiff. This application can be made via form D89 (available here). 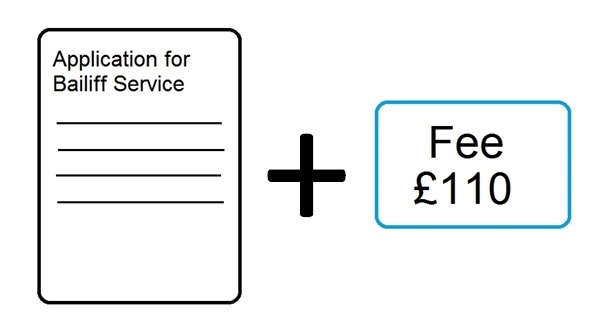 The court fee in respect of the D89 bailiff service application is currently £110. An application for deemed service can be made on form D11, available here (this is a general form used in divorce proceedings). You will need to enclose the proof you have (e.g. a printout of an email, etc.) and a statement of truth (the statement of truth is incorporated in the D11 and is not a separate form). A fee may also be payable in respect of the application.